The Datamax-O'Neil PrintPAD has reached end of life. It has been replaced by the Honeywell RP Series. 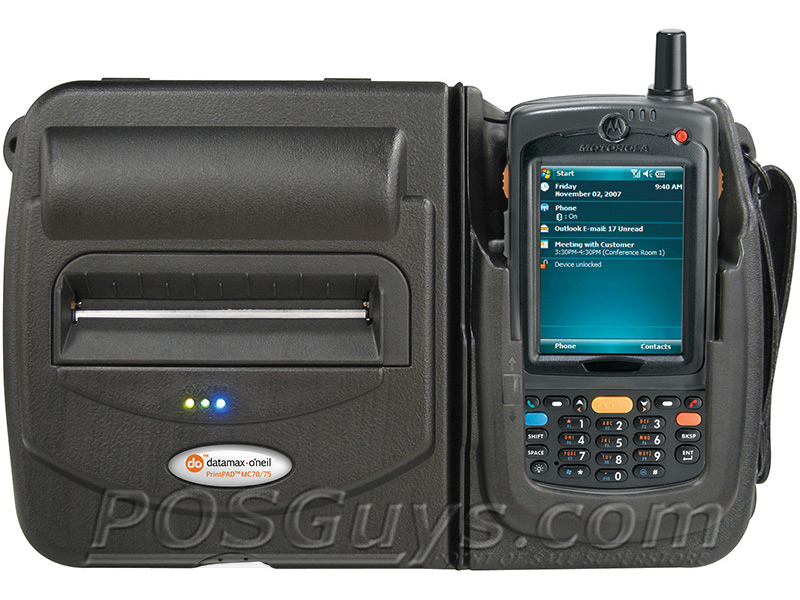 The Datamax-O'Neil PrintPAD mobile printer system converts your mobile computer† into an integrated and durable mobile printing and computing solution. 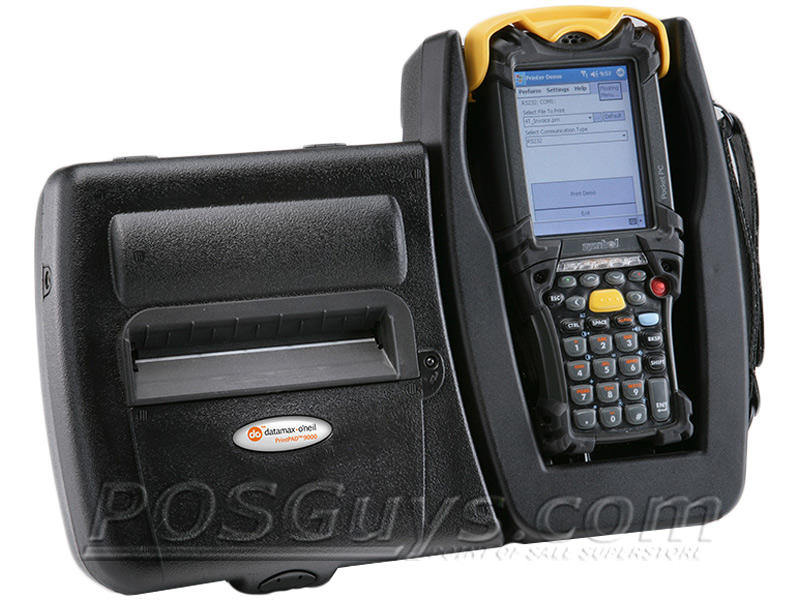 Excellent for route delivery or field service operations, the PrintPAD gives your employees an easy to use, easy to carry method to provide on-site receipts and invoices. 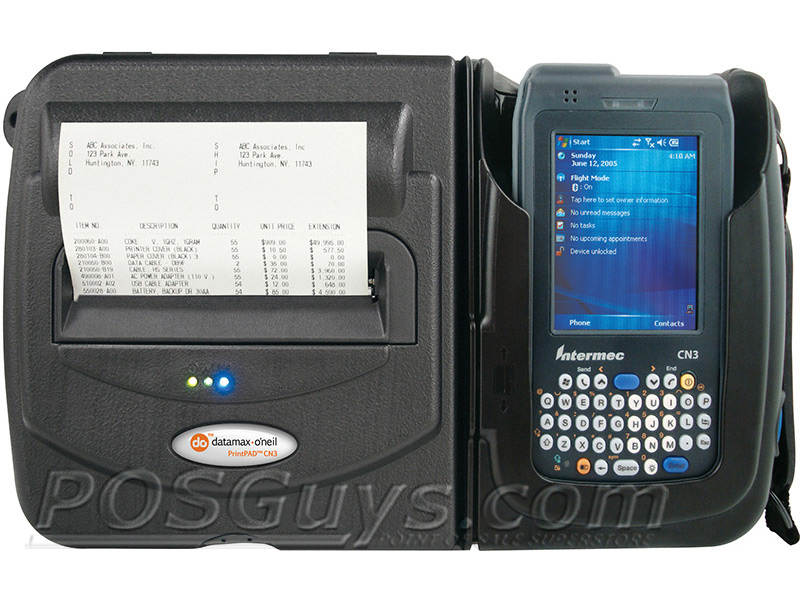 As a combination of the microFlash 4te 4" wide mobile receipt printer and locking mobile computer sled, the PrintPAD consolidates the equipment your mobile staff uses into a single device. 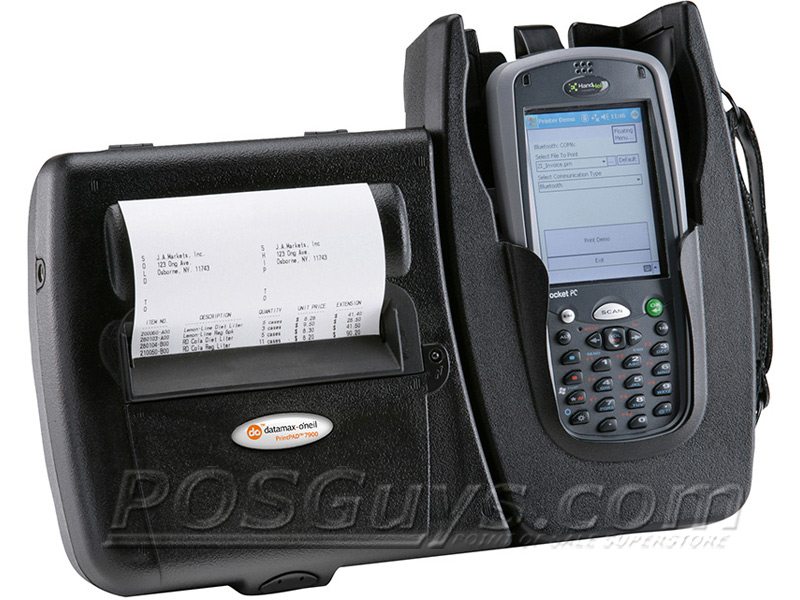 The PrintPAD can also ship with an integrated Bluetooth radio, ensuring connectivity even if the mobile computer is out of the device. If mobile field sales or line busting are needed, an optional magnetic card reader model is available. Built to last, the PrintPAD can survive drops of 6-feet, even while a mobile computer is connected. 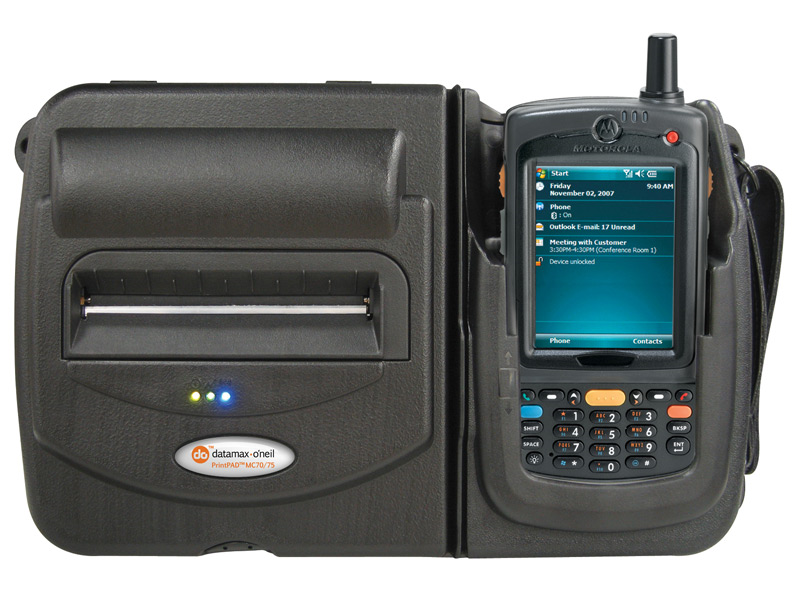 The reinforced body insulates the print mechanism, allowing it to operate at temperatures as low as 14° F. Deliveries to cold storage or in colder outdoor environments are no match for the Datamax-O'Neil PrintPAD system. The PrintPAD is also covered by a 2-year standard warranty, with additional comprehensive and extended warranty plans available. Find it faster! 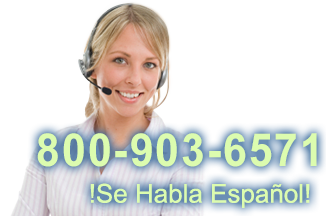 Click here to compare PrintPAD models by feature. 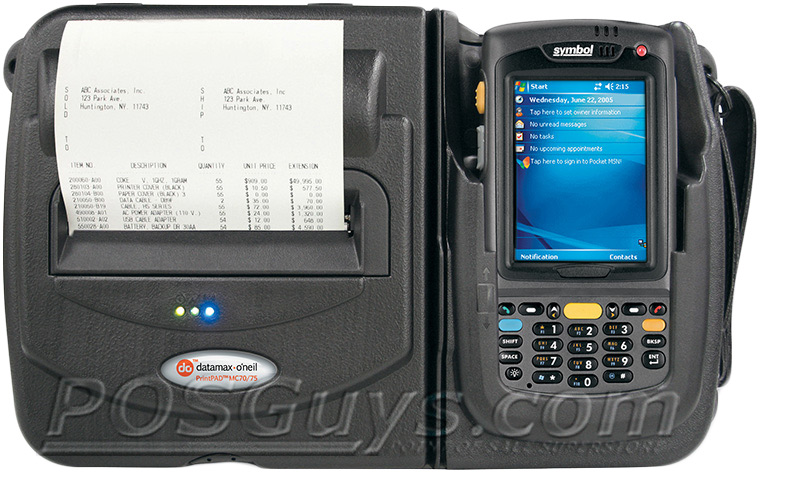 Browse all PrintPAD models now or call 800.903.6571 for assistance.